CHICAGO, March 2, 2017 /PRNewswire/ -- CNA today announced the appointment of John Hennessy to Senior Vice President of Sales and Distribution, effective April 3, 2017. Hennessy returns to this role after leading CNA's European operations for five years and Canadian operations for three years. In the Sales and Distribution role, Hennessy will advance CNA's distribution strategy and better position the company in a rapidly changing distribution environment. He will report to Tim Szerlong, President, Worldwide Field Operations. "During my travels, it has been clear that John has built strong relationships and is highly regarded in the industry," Szerlong said. "I am confident his knowledge of both domestic and global markets, coupled with his strong underwriting, strategic and operational experience, will accelerate our continued focus on developing an effective sales culture, which is critical in building a stronger market position." Hennessy joined CNA in 1982. 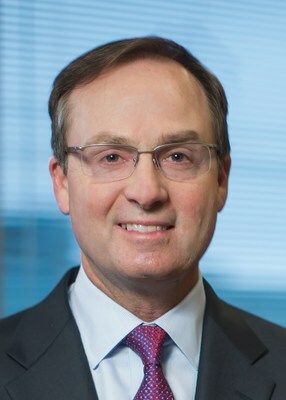 During his almost 35-year career with CNA, he has served in multiple home office and field leadership roles, including: Milwaukee Branch Manager; Central Region President; Senior Vice President for Casualty Underwriting and Middle Market; and Senior Vice President of Distribution Management. Most recently he held the roles of Chief Executive of CNA Europe and President and Chief Operating Officer of CNA Canada, where he was responsible for the operations' strategic direction and operational performance. "I am excited to continue building a world-class sales and distribution team to help optimize mutually profitable growth for CNA with our distribution channels," Hennessy said. "I am equally pleased to be returning to Chicago where I started my insurance career at CNA as an underwriter trainee."